Blurb: A little hypnosis can be a dangerous thing. Psychologist April Simon reaches that conclusion when four of her most unstable patients begin to violently unravel following the murder of their psychiatrist, Lowell Morgenstern, April’s arrogant department chairman. She suspects it’s no coincidence that all four were subjects in his research project. As April tries to undo Morgenstern’s mayhem, she finds her colleagues turning resentful, her career on the line, and the chairman’s killer closing in. Who can she trust? Maybe Sam Perone, the attractive, cynical detective who seeks her help in solving Morgenstern’s murder – that is, when he’s not treating her as a suspect. 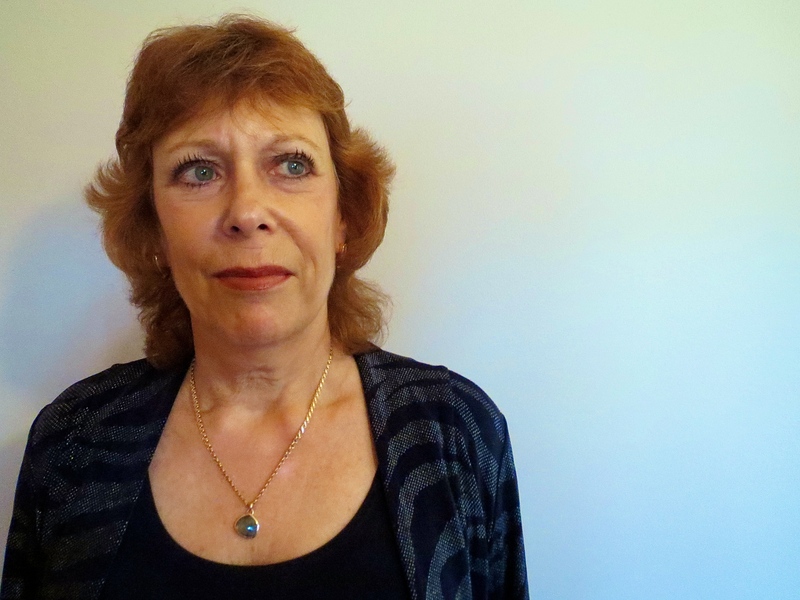 Freda Hansburg is a psychologist who lives with her husband in New Jersey. She is the co-author of the self-help books PeopleSmart and Working PeopleSmart. 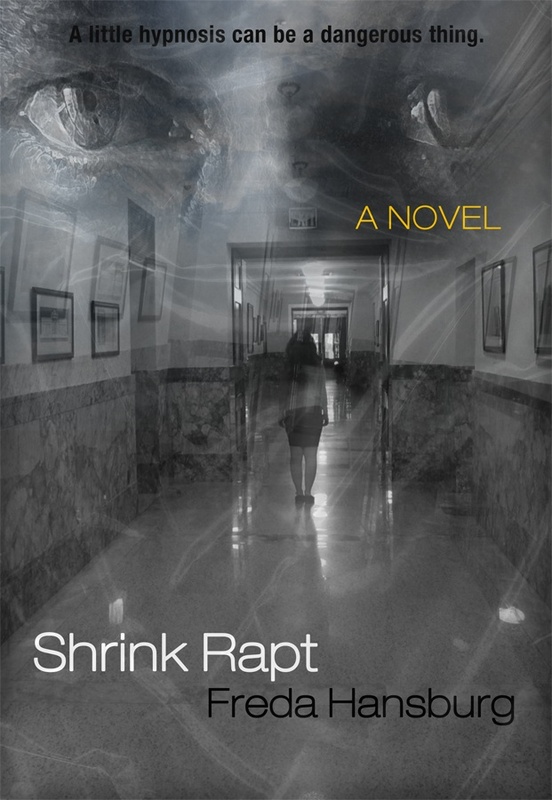 Shrink Rapt is her first novel. 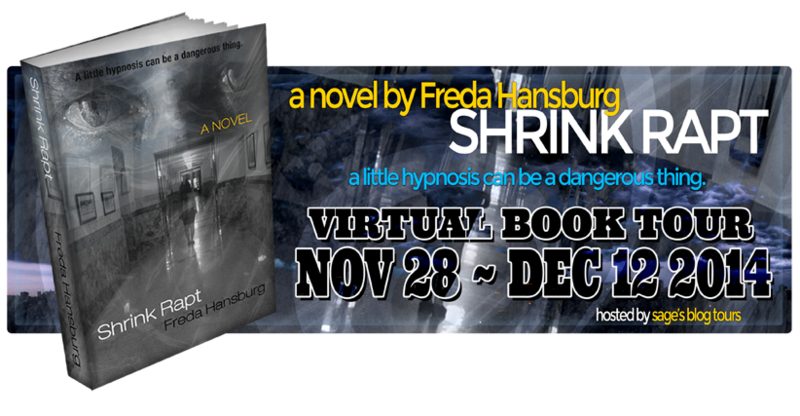 Freda Hansburg is giving away one signed paperback of Shrink Rapt! Blurb: A family is torn in half when a careless killer evades justice. Jason McDowell’s bad choice to drive to work drunk one morning leaves a father dead, a daughter in a coma and her twin sister and mother to try and pick up the pieces of their shattered lives. Three years later, while Jason has gone on with his life, ignorant of the struggles of his victims, someone has decided it is time for him to face justice. Animus is a great thriller with a dark edge! I really enjoyed this book. The whole story is family/social based, making it easy for the reader to connect with the characters and their ordeals in their private lives. It is an emotional read at times, and there are some scenes of violence. Some scenes were expected and others more surprising. I would recommend Animus for a more mature reader of 16yrs+. After Jason escaping justice, he returns to his normal life of drinking and generally past caring of anyone or anything. He disrupts the lives of all around him, i.e. his wife, children, brother and sister-in-law with his drinking and aggressive behaviour. The reader feels no compassion for him, at the same time as feeling disgusted at the lack of justice his victims received. What is quite fascinating is how the victim’s wife, Janet, and daughter Kimberly are more alike than they both realise. Regardless of what they have been through they remain strong, looking after each other, praying for Krystal to wake up from her coma and trying as best they can to carry on with their lives. They both speak about Jason and how they are feeling to a degree, and yet neither of them share their darkest of thoughts. Despite the obvious victims of all the misery, i.e. Janet and Kimberly, I found myself also feeling sorry for Angela and Mindy, the wife and daughter of Jason. As well as coping with an abusive, manipulative layabout and erratic drunk, they find themselves having to cope with terrible ordeals later in the story, without fully understanding the whole story behind them. Animus is clearly well-planned, well-researched and very well written. The drama is continuous, leaving no opportunity for the readers mind to wander off course. The pace is steady, making the read easy to follow and enjoyable. Every paragraph is meaningful and adds to the story, making the editing just right in my opinion. The author has managed quite well to avoid being over-descriptive regarding crime scene evidence, court proceedings and medical terminology so as not to lose the reader’s attention, especially given his background and the knowledge of the research he has carried out. Although, everything the reader needs to know is there and so it allows for an easy read, albeit dark and serious. When I read a novel there are usually some background characters that I become fond of, and I found some great ones in Animus. Firstly, there was the doctor, Dr. Satish, who was attending to Krystal. He was quite supportive of Janet and her needs. She had someone to talk to and all along I was hoping for some romance to blossom there. And secondly, Officer Marrow who was able to piece information between the incidents together. He had his suspicions, along with some circumstantial evidence and gut instinct but was always needing more evidence for the detectives to go on. I did feel for him at times, but really was torn between his needs and what I felt was acceptable. Officer Morrow did appear to care for those involved which also warmed me to him. In fact, I would love Thomas Evans to write another novel, perhaps based on Officer Morrow, or another case that he works on. There are some surprises in this story which makes for a fascinating read, but some are quite sad. I actually like the more realistic novels at times and Animus certainly did grab my attention. It makes the reader ponder on what is legally wrong/right and what is morally wrong/right. I would love to read more from this author and his knowledge in these areas could make for some more fascinating stories! 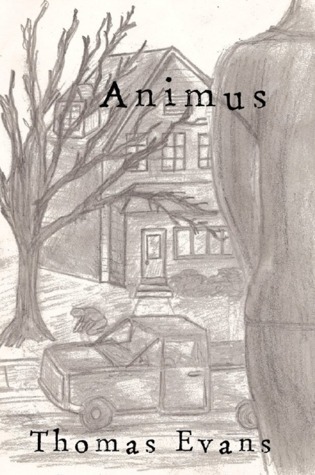 A copy of Animus was provided by the author for the purpose of an honest and fair review. Animus is available in Kindle edition or paperback at Amazon US and Amazon UK.